Anthony called the funeral home today to inquire about Carleigh's headstone that still wasn't up. So I'm letting you all know the latest update. Brian, one of the funeral directors and the one we worked with for Carleigh, said they had to wait for the stone because it was on back order by the stone company. When the stone company got our stone and got it cut they just missed getting it on the truck for Memorial Day to get it to the funeral home. Now it is sitting on the dock waiting to get shipped in Atlanta, GA. Evidently the company needs a certain amount of weight on the truck before they make a shipment. Brian said that they guy from the stone company told him that hopefully it will be up here before the Fourth of July. But once it's up here it will take 5-10 days to get it up. Brian knows we've been waiting for it and he said he would get it up as quick as possible once it got here. So, hopefully within these next couple weeks it will finally be up. Now an update on the NILMDTS photos. Anthony called Kim twice with no answer. He left a message both times. We haven't heard back yet. Not a real great update. 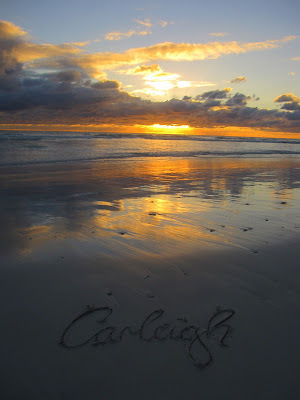 Thank you Carly for sending me a picture of Carleigh's name in the sand. I absolutely love it and it was such a nice surprise. I appreciate it very much!! Please check out Carly's site To Write Their Names In The Sand. It's just beautiful. 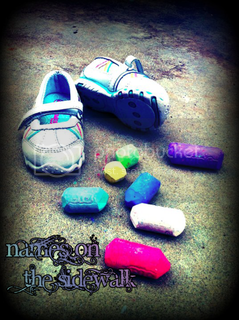 For those of you who don't know, Carly lives in Australia and she writes the names and takes the photos. Click here to learn how she got started. Today it has been 3 months since Carleigh was born. I miss her a lot. 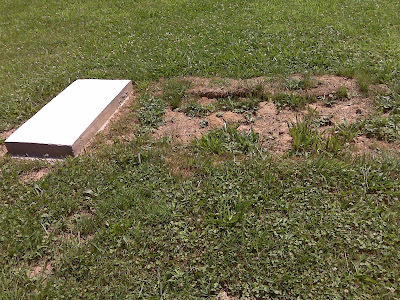 We went out to the cemetery after church and, of course, her headstone is still not up. Anthony plans on calling again this week. Driving away from the cemetery the song Homesick from MercyMe came on and it brought tears to my eyes. I'm definitely homesick. He's also going to call about our NILMDTS photos since we still haven't gotten those yet. I just wish we'd get them already. It shouldn't take 3 months to get those pictures. A few weeks, yes, but not 3 months. I've just been working on her scrapbook a little today and remembering her. If you have lost a child and have not yet red about Under The Tree you can do so here. Hair Color: My natural color is blonde. When I was younger I had white-blonde hair. As I've gotten older my hair has gotten darker. Now it's more of a light brown. Eye Color: Hazel. I love my color of hazel. Profession: Nuclear Medicine Technologist. It's just one of the modalities in Radiology. Color: It's always been blue. My room when I lived with my parents was nothing but blue. I've become more fond of other colors as the years have passed, like green. Movie: Facing the Giants and Fireproof. I love them! Animal: Dog. I love dogs. They have such personalities and give you so much affection. Store: I don't do a lot of shopping. I don't have a favorite that I just have to go to. It used to be American Eagle back in the day but I don't think their clothes are all that great now. Hobby: I like to scrapbook but there's not a lot of time for it. I enjoy reading too! Song/Singer: I love Jeremy Camp!!!! I really like Matthew West too. Book/Author: Oh my gosh. I love Twilight!! *drool* Yep, I'm one of those. The Host is Awesome too. School Subject: I've always had a love with Science. If it's science-related then I am there! Vacation Destination: Hawaii hands down. I've been there 5 times and I plan on going again. We've went there since I was little and on our last trip Carleigh was still with us and that just makes it extra special. Restaurant: Cheddar's or Red Lobster. I always get a virgin strawberry daiquiri at Cheddar's. It's awesome. Coke or Pepsi: Neither. They're both gross. Odd flavors in my opinion. Beer or Wine: Neither. They're both gross. I don't drink. Coffee or Tea: Neither. They're both gross. Period. Apple Juice or OJ: Neither. They're both gross, but a little less gross then those mentioned above. I'd drink them if I was thirsty enough. Do you see a pattern here? I either drink water or organic milk. Occasionally I will have a pop but not that often. It's either a Sierra Mist or IBC root beer. I consider it a treat. Summer or Winter: Summer because I get cold easily. I love feeling the warmth of the sun on my skin. Cats or Dogs: Dogs. I am so not a cat person. Wretched cats poop in my flower beds. Salty or Sweet: I'd much prefer SOUR. Boat or Plane: I guess I'd say plane because it could get me to where I'm going faster. I don't have a problem with either. Morning or Night: I am a morning person and always have been. I cannot stay up late at all. But of course I get up at 3:30 am almost every day! Money or Love: Love. If you have money and no love than that is a sad life. Breakfast or Dinner: This is a hard one! I like both meals but breakfast is the most important meal of the day they say. Forgiveness or Revenge: Forgiveness. I feel no need to ever get revenge. I'll leave that to God, thank you. House or Apartment: House. It's bigger and I can choose to have no neighbors right next to me making loud noises at all hours of the night. Yeah, a house sounds much nicer. Like to cook: Well, my hubby cooks more than me. We eat on the grill a lot and that's his area. Plus, he took over a lot of things when I was on bed rest with Kyndra and cooking was one of them. Got a speeding ticket: Yes. I was going 79 in a 65. This was back in my college days. My friend and I were driving back to Findlay from Polaris in Columbus. Wished you were someone else: Not really. I like who I am. Cried during a movie: Of course. Biggest fear: Losing someone I love for all eternity. This is why I pray that all come to know Jesus Christ and follow Him. I want to be able to see them again. Biggest mistake: Not keeping Jordan. I will always regret that for all my life. Your proudest accomplishment: My children. Nothing I've done could be better than them. Dream job: I'm already living my dream job as a Nuc Med Tech. It's something I was set on doing since I was a sophomore in high school. I've never regretted it. I love it! Special Talents: I always considered myself good at playing the clarinet back in the day. It's been a long time though. I think I was pretty decent at sports too. Those are pretty common talents. A weird talent is my thumbs can bend back in a very odd way. Naturally, too, without even trying. It's rather kind of freaky. Where would you rather be at the moment: In my bed napping. I would love a nap. A nice, long one. Famous person you want to meet: I really have no desire to meet any celebrities whatsoever. I am asking all of my mommy friends who have carried their precious ones to term to help me help out a friend! 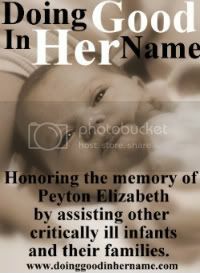 Her name is Stephanie and her little boy Vayden was born May 23, 2009 and lived for 3 hours and 45 minutes. He was diagnosed in utero with a severe case of LUTO (Lower Urinary Tract Obstruction). I know Stephanie through Cafemom and I also followed her blog Through My Mothers Eyes...Vayden's Story through her journey with Vayden. She's such a great woman and momma and her little boy is so precious! Stephanie is working on a project to donate 345 Teddy Bears to perinantal diagnostic centers and hospitals for women who choose to carry to term, suffer late term miscarriages, have a stillbirth, or lose their babies in the NICU. The number 345 represent the 3 hours and 45 minutes that Vayden lived. A portion of her website is titled "Why I Carried To Term". Stephanie would love for mothers who carried to term in a positive manner to give her a brief reason why they carried to term and also your name, your baby's name, their birth and death date, and your blog or website if you are willing. If you have a blog or website she will link it. Please email this information to her at shortyswife84@yahoo.com. I've already given Stephanie my information and reason and I hope you will too! The purpose is to show women facing the hard choice that they are not alone in their feelings and that carrying to term, while difficult, is a road that is worth taking. Christina and I decided to let our daughters do the drawing for the winner. This meant I had to end the giveaway early and do the drawing before she went to bed at 7 pm. So for all the people that commented I wrote down theirs names on a piece of paper and stuck them in a bowl. Next Kyndra picked out a name. Congratulations Ivy! I'm so excited you won!! I already have your address so I will forward it to Lynnette so she can send you a signed copy of In Faithfulness, He Afflicted Me. This 2nd week we are to share our experience after we heard the news that changed our lives. The few days after her diagnosis were the hardest. This is when I cried the most. I poured myself over articles about anencephaly, stories of parents who carried to term, poems, and songs. Just a couple days after found out that Carleigh had anencephaly we left for our family vacation to Hawaii. It was my parents, my sister and her family, and us. We had been planning this trip for 3 years. I was actually glad we were going because it would be the only vacation where Carleigh was with us (or in me!). We had a great time on our trip. I just let myself forget about the present worries and enjoy our time there. I felt much better and cried less after our trip. I think it was very good for me. Not long after we were back I decided to start calling funeral homes to begin making pre-arrangements. I ended up deciding on the first one I called because they were so nice. The second one wasn't very friendly over the phone. A date was set to meet and begin. We met with them again later to go over more things and then one final time before her birth. The most difficult meeting was the first one when I looked through a catalog of tiny baby caskets. I cried a little then. I was able to do ok the rest of the planning. One of the things I also did not long after we got back was start a blog. I originally started it to keep family and friends updated so I wouldn't have to post updates on several different sites. It was much more convenient for me! Then I realized that writing down my whole journey could help others who faced the same or a similar situation. I know reading stories certainly helped me a lot. It was always nice to know when someone was following our journey with Carleigh. It showed me that they cared how we were doing. I wanted to do things to remember Carleigh so I got Maternity pics done by a NILMDTS photographer, I got a 3D/4D ultrasound, my pastor's wife threw me a prayer shower, and I had a belly casting party. These were so wonderful and I enjoyed each one! I thoroughly enjoyed my time with Carleigh. I cherished every little thing she did. Every movement, every hiccup. After her diagnosis, I looked at my pregnancy in a totally different way. I quit complaining about the little things. The road wasn't always easy. I had days where I was sad. I didn't want to lose my baby girl. But I tried to focus more on being happy for her. I just felt she would know if I was sad all the time. I didn't want her to feel my sadness. 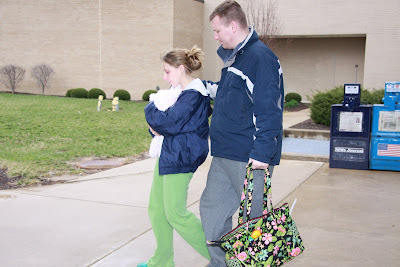 One of the first sites I went to after Carleigh's diagnosis was the Carrying to Term Pages. It helped me out a lot, especially with getting ideas for Carleigh's birth plan. Two other websites gave me a lot of information about anencephaly-Anencephaly Net and Anencephaly-info. My prayer request is for moms and families that are finding out that their child will or may not live. I pray that they can find the support and guidance they need through these rough waters and that the Lord be with them. It was Dec 15, 2008. I was 22 1/2 weeks pregnant (although we thought I was only 21 1/2 weeks at the time) and it was my midway ultrasound. My appointment was scheduled for 1pm. I had no idea at this point anything was wrong with my baby as I had declined the Quad screening earlier in my pregnancy, which would've detected something wasn't right. I already knew at this point we were expecting a little girl because I found out at 15 weeks. I was excited for my ultrasound. I loved the opportunity to see my baby moving around on the screen. My friend, Beth, performed my scan. I had my ultrasound done in the Radiology department where I work. My best friend Lindsey, who works in my same area, was with me. Anthony couldn't make it to my appointments because of work so she always went with me for my ultrasounds. Lindsey and I chatted the whole time and were very upbeat. Beth seemed so too at the start of the scan but then seemed to get a little somber. Lindsey and I asked if it was a busy day for them and she implied that it was so we assumed that the mood change was just they were busy and she was tired. I could definitely understand that since I've had those days. I watched the screen and everything was looking ok. I kept looking back and forth between the screen and Lindsey as we were talking. I saw Beth get measurements of everything except her brain, which I just assumed I had missed when I had my head turned and was talking to Lindsey. I remember seeing Beth scan her head and seeing her orbits. The view I remember seeing was a classic sign for anencephaly. I just didn't know it at the time since I had never seen the condition on an ultrasound. Beth said she needed to see if the radiologist wanted to scan for himself. You see, we had merged with a new radiologist group not long before that and she said sometimes they like to scan the patient themselves. No big deal. Except it wasn't one of the new doctors reading. It was our old doctor, Dr. H, who reads all of our Nuclear Medicine scans when he's there. Lindsey and I thought Dr. H was on that day but we hadn't seen him yet so we figured maybe he had the day off or something. Beth came back and said that I was all done since the radiologist didn't need to scan me. She printed me off some ultrasound pictures but I didn't get any of her face or head. Beth said it was the position she was in-she couldn't get any good ones. I wasn't surprised by this at all because we always had a hard time getting good pictures of Kyndra's face when I was pregnant with her. She always had her face pointed away from us and up to that point Carleigh was looking like she'd be just as stubborn (and later she continued to be!). So, I go on with the rest of my shift at work and then leave. I picked up my daughter Kyndra from the sitter's house and go home. No sooner had I walked in the door the phone is ringing. It is Dr. F, my ob. When I saw her name on my caller ID, I knew it couldn't be good. She said they had tried catching me before I left work but had missed me by just a few minutes. (Lindsey had answered the phone at work and told them.) She said there was something concerning on the ultrasound and that she needed me to come into the office as soon as possible. I needed to come in today no matter what time it was. My stomach just sank. This couldn't be good and I was running a hundred different possibilities in my mind. Is it Down Syndrome? What if there's something wrong with her kidneys? What if she doesn't have any kidneys and it's Potter's Syndrome? Is it a heart defect? Is there something wrong with her brain or ventricles? Believe me, there really probably were a hundred different scenarios I ran through my head at what it could be. I called my husband, Anthony, and told him what I was told over the phone and to see if he wanted to go with me into the office. He called his boss and let him know he had to leave work and then called me back to tell me he would meet me there. I called Dr. F's office back and let them know that I was on my way in. I packed up my things and changed Kyndra's diaper. I was worried. In the meantime, I called Lindsey to see if she had left work yet. She had already left. I was going to have her look up my ultrasound report for me. Lindsey told me to call her as soon as I was done. I promised her I would. Kyndra and I left the house then to go back to the hospital. I arrived there before Anthony at 3pm. I was antsy. I was nervous. With time on my hands, I went back to my area in Radiology and I looked up my ultrasound report. I skimmed it until I read the word 'anencephalic' near the end of the report. My eyes froze on the screen. I think my heart started to beat faster but it felt like it had stopped. I said out loud, "This can't be happening to me." My coworker Jimmy was still there. He saw that I was upset and he asked me what was wrong. I told him, "My baby doesn't have a brain." There was a pause before I quickly added, "I can't handle this," and I left the room. I remember thinking in my head "What do I do? What do I do?" I didn't know what to do. I didn't want to even think about what it meant for my baby. Too late....I knew what it meant. I pushed all thoughts away for the moment. I went to the front desk in Radiology and gave Kyndra to the girls up there to watch for me while I used the restroom. After I was finished (which didn't take long enough), I got Kyndra and made my way to Dr. F's office to meet Anthony. I wasn't really freaking out at this point. Just stunned. I tried to come up with a reason in my head that what I read was wrong. Maybe I just misread it. I knew deep down though that it was true. I needed to hear it from my doctor though. I didn't tell Anthony what I knew. I didn't want to crush his world on the very slim chance that I had gotten it all wrong. I kept myself together well. It didn't take them long in the office to take us back. There were still a few patients in the office. They took my vitals. My systolic blood pressure was 115, which is elevated for me. My systolic usually runs 80-90. My pulse was high, too, but I already knew that. I could feel my heart beating in my chest. They took us back to a room and we waited. The office gals watched Kyndra for us in the meantime. I think Dr. F waited until all her patients were gone to come in. Waiting in the room was horrendous. I was basically waiting for affirmation of my baby's death sentence. I was sitting on the exam table and Anthony was in the chair in the room. She came in finally and said her hello. She didn't waste any time in getting right to the point, which was fine with me. No sense beating around the bush. I don't remember her exact words but she mentioned that there was something of concern on the ultrasound and it showed that our baby had anencephaly. Yep, there it was-my worst fear confirmed. This was the exact moment it all came crashing down. My hands went to my face and I started crying. I remember thinking in my head, "How can this be happening to me? This isn't supposed to happen!" Dr. F asked me if I knew what it was. I told her I knew but she could explain it to Anthony, so she did. Of course, I added in my 2 cents of knowledge like I always seem to do. She explained what the diagnosis meant for our little girl. She was missing most of her brain and her skull. She wouldn't live more than a few minutes or hours if she was even born alive at all. Next, Dr. F told us our options. We could continue with the pregnancy or choose to go ahead and induce. My decision had been made long ago before Carleigh was even conceived and I wasn't changing my mind. I was going to carry her to term. I told Dr. F through my tears, "I'm not terminating. I'm not doing it. I'm carrying her to term." And that was that. With all the emotions I was feeling, the only one that surprised me was my acceptance of the situation. Wasn't I supposed to be more upset? Wasn't I supposed to be angry at God? That really didn't seem to be the case. Instead, I felt a peace about the whole situation. I just knew everything was going to be ok even though I was hurting for my little girl. I believe that came from Him. Dr. F told us what the next step was going to be. She was going to refer us to a Maternal Fetal Specialist to just get a second opinion and to see a genetics counselor. The office would call me tomorrow with my appointment time. I had never been to this type of specialist before so I was a little unsure of what to expect. (Looking back, it was a BIG waste of time and I'll never do it again.) She assured me that Carleigh having anencephaly probably happened for no reason at all. Just a random thing since I was on enough folic acid and we have no family history of neural tube defects. That could very well be true but I didn't care at that point. I just didn't want it to be real. Dr. F then asked us if we wanted to speak with Dr. H and go over the ultrasound with him. It wasn't yet 5pm so I knew that he would still be in the department so I said yes. I had to see it on the ultrasound for myself. Dr. F left the room and gave Anthony and I a few minutes alone before we would go see Dr. H. We just held each other. I reassured Anthony that everything would be ok and that God would get us through this. We cried in each other's arms and then we pulled ourselves together and left the room. We said goodbye to Dr. F and the office staff and went to see Dr. H.
We stopped by the front office in Radiology first and Cheryl, one of the girls who works up front, watched Kyndra while we went around the corner to talk to Dr. H. I knocked on his door and we went in. He knew why we were there without having to ask and he said he was sorry for us. We thanked him. I sat down in the extra chair in the room and Anthony stood beside me. Dr. H went over the ultrasound with us and showed us the several views of her anencephaly. He pointed out where there was nothing above her eyelids. He then showed us what a normal ultrasound looked like, which I already knew but figured it would be helpful for Anthony. Dr. H said he didn't know how Beth could get through the ultrasound so stone-faced and then at that moment Beth came in and she just had this look on her face that said it all. We hugged and just held each other for a few minutes. She said that if I needed anything to let her know. I told her I'd probably be back at some point to get some ultrasound pics of Carleigh. I told Carla, one of our lead techs, who came by at that point that I wasn't coming to work the rest of the week and she told me to take as long as I needed. They all supported our decision to continue our pregnancy with Carleigh and were proud of us. I called Lindsey after I got Kyndra back to tell her what we had found out and what was going on and also to ask her if she could drive me home. I just didn't feel like driving at all. Lindsey and Jarrod, her husband, got to the hospital and Lindsey and I hugged. I'm so glad she came because I really needed a friend at that moment. We hung around the front desk area in the department for a little bit before I called my mom and told her the news. At first she didn't believe me but then it sank in to her that I was serious. I told her to tell everyone else because I was not up to calling everyone. She said she would. We also planned for her to come down and stay the rest of the week with us before we left for our vacation to Hawaii. It was a short phone call. Finally, I decided it was time for us to go home. I had a hard time leaving. Lindsey drove me home in the van and Jarrod followed so he could take Lindsey home. Anthony drove his car back. I didn't talk a whole lot on the way home. I was still trying to digest all of what happened in such a short period of time. Plus, I just didn't know what to say. How could there be any words to describe what I was feeling? To express the pain in my heart? I just let the tears fill my eyes. We got home and Lindsey and Jarrod stayed for a little bit and then left. I think we ate some pizza. I got online and wrote a journal on Cafemom and Myspace for all my friends letting them know of the news. It wasn't long and I went to bed. I felt exhausted. The events of the day played over and over in my head. The ultrasound. The phone call. The diagnosis. The devastation. It wasn't supposed to be like this, and yet, it was. I knew my God was going to do big things with Carleigh's little life. I never imagined how big an impact she would have on mine. Somehow my date got messed up on my ChipIn widget and the raffle ended early. No big deal! That just means I get to determine the winner of the captive opal necklace sooner! For those who entered, your odds were very good because there were only 9 of you. Thanks so much! Between you all you raised $64, which will go to Sufficient Grace Ministries. Again, thank you to all who participated!! Happy Father's Day to all fathers and most importantly our Heavenly Father. Usually, Anthony and I don't get each other gifts. This year, with Carleigh leaving us, I wanted to get him something special to remember her. I have my bracelet that Sue from My Forever Child gave me, but he didn't have anything and I knew he wouldn't really wear any jewelry. He's just like that. So I gave it some thought and one day I got an email from Sue regarding Father's Day and gift ideas. One of the ideas was a suncatcher. This was perfect for Anthony! He's in his car all day at work so he'd be able to look at it all the time. I placed my order for one for him just like the one below. On the back of the charm it has 'Carleigh McKenna' and it also says 'In My Heart'. I tried to take an actual picture of it but it didn't turn out well so here is a picture of it from the My Forever Child site (I figured you wouldn't mind, Sue.) You can click on the picture and it will take you to all the different suncatchers Sue offers. Anthony really liked his gift and I'm glad he did. I like his suncatcher so much I would like to go one for my van some time. 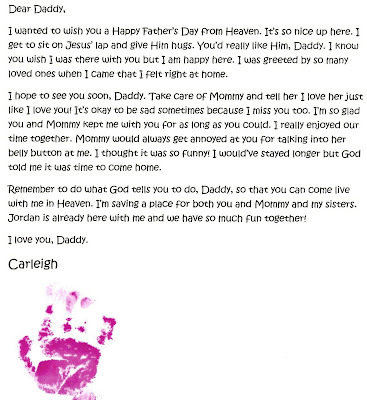 Anthony also got a letter from Carleigh for Father's Day and I thought I'd share it. If you'd like to know how my birthday went you can click here. And to enter into a giveaway for a blog makeover click here. Out of all the comments, I have selected the "grand prize winner" and also a "runner-up". I had to disqualify some of the comments because they weren't anonymous or they weren't practical gifts. Sorry! That was part of the rules and I have to be fair! As I am entering this contest I must this is a neat thing just shows what a kind of a person you are, so here it goes my gift would be home made it would be a quilt made of memories throughout your life and your family. I would put pictures of you and Anthony and Kyndra and Carleigh and also include Jordon and Hannah . it would have sayings to cherish. But it would be something you could hang and display. I think I would try to have others email me and have thought they would like on it too. Then this quilt it would be called A quilt of hope and and it could bring you a lot of happiness. I would add little charms of the months you was all born and the month of your anniversary. Also I would take a block and do a family tree and add or leaves for future loved ones. 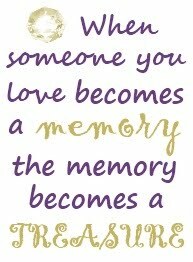 And maybe a block of those who you loved whom had passed on. Such a WAY TO remember. But the most important picture on it would be GOD and he would be there with you always. This would be my gift to you for your birthday. Happy birthday. Enjoy the blessed day the Lord will give you. I would give you the gift of professional landscaping so you could make a perfect memorial garden for Carleigh and also have plants to honor Hannah and Kyndra and remember Jordan.There would be your fave flowers, statuary, a bench to sit on, maybe an arch w/ a pretty vine spilling over it. There would be the birth month flowers for all the children. Then, I would have a horticulturist graft a perfect new rose and name it "Carleigh". Happy birthday, Holly! Thanks for helping me with your story, for I have lost a child also. I have 3 others born after her, and my son's birthday is also June 20. Congratulations to the winners. Since I don't know who you are, please email me at caring4carleigh@yahoo.com. Once I know who you are I can get your gifts out to you and also post who you are! I very much enjoyed this! THANK YOU! 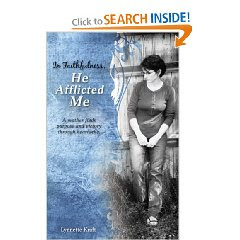 I don't know about you, but I am excited that we'll be reading Lynnette's book In Faithfulness, He Afflicted Me. Christina from Pooh's Corner and I are hosting a giveaway on behalf of the wonderful generosity of Lynnette. We each will be giving away a signed copy of In Faithfulness, He Afflicted Me. This giveaway will begin now and will run until Friday, June 26th at 11pm EST. 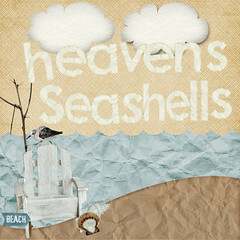 One winner will be announced on my blog and the other will be announced on Christina's blog. To enter just leave a comment here, on Christina's blog, or both to double your chances of winning. THANK YOU Lynnette for being so kind in helping us with this giveaway! Just a few announcements and reminders for today. My birthday giveaway ends tomorrow so make sure to enter if you want a chance to win! The raffle for Sufficient Grace Ministries ends Sunday. If you'd like to win a captive opal necklace then make sure you get your entries! 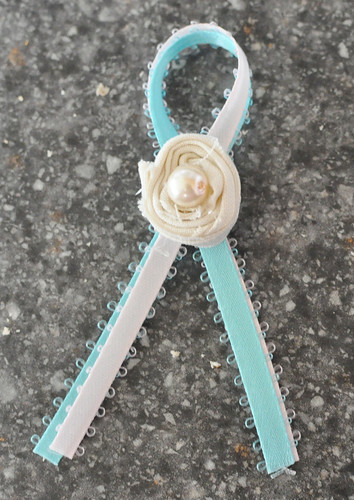 Rachel at Once Upon a Miracle is hosting a fundraiser at her blog in memory of her niece, Gracie. 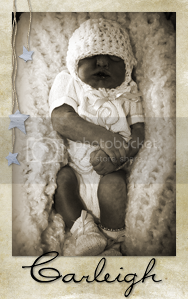 Stop by and read about this precious baby and leave a comment too! For each comment left a donation of $1 will go to Sufficient Grace Ministries. They are hoping to reach 500 so help them out! The other books we will read in the following order after we finish Lynnette's book: 90 Minutes In Heaven, Let God Be God, and Waiting with Gabriel. 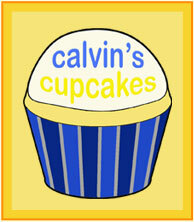 There will also be a blog button for the Reading Group thanks to my friend Christina. I hope everyone has a great weekend and a wonderful Father's Day! Remember to let the fathers in your life know how much you love and appreciate them! I cherished the time I spent with Carleigh. Even though she was only with me in body, I loved every minute of it. She had captured my heart from the beginning of her life, and the moment she was born I realized what a true miracle from God she is. She was born the way she was meant to be and I wouldn't change a thing. She was perfect in my eyes. I knew at some point we would have to leave the hospital. Not an event I was looking forward to at all. 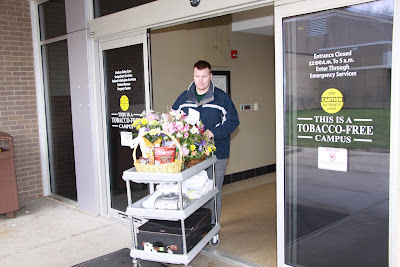 I was grateful at least that I didn't have to leave the hospital empty-handed like so many other mothers. I was able to carry my little girl and we left together (although not to a place I wanted to go). We left March 29th-the day after Carleigh was born. Walking out of the main lobby of the hospital. Carleigh is in my arms. My dad is pushing our cart with our things with my mom behind him. 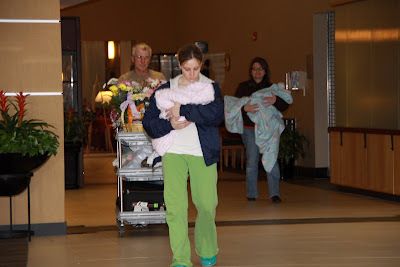 Anthony's mom is carrying Kyndra and my nurse Michaella is following. It's hard to take my eyes off of her. Anthony pushing our cart of things our to our van. 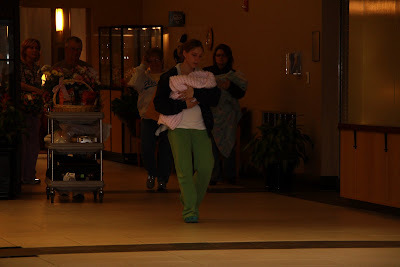 Anthony escorting me & Carleigh out of the hospital. In the van and ready to leave. There are those of you who expressed interest in reading another book after our last reading group finished. I think this is a fantastic idea. I loved reading along with all of you. I've selected 4 books to choose from (the first one was suggested by Andi). I will let you all decide which one you want to read. So leave a comment letting me know your pick. The book with the most votes will be our next book we read with the second book being the next and so on. So give me your opinion! Can a book about suffering sparkle with warmth, humor, and encouragement? 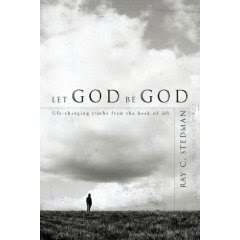 Yes, it can-and Ray Stedman's Let God Be God is that book. So turn the page and prepare to be instructed, inspired, and comforted by the life-changing truths of one of the oldest and greatest stories in human history-the story of Job. 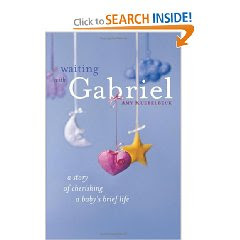 In Waiting with Gabriel: A Story of Cherishing a Baby's Brief Life, AP journalist Amy Kuebelbeck shares the heartbreaking story of the brief life of her son, Gabriel, born with a rare heart defect. Kuebelbeck and her husband learned of the problem during the second trimester of her pregnancy, when they were told that he would only live for a few days after birth. In the memoir, she recounts that he actually lived only a few hours, but explains that his life was invested with meaning for his family and the hospital staff. This is not so much a book about grief and loss as it is a testament to the importance of recognizing grace and beauty in the here and now; faced with the imminent death of their son, Kuebelbeck learned to appreciate every moment with her husband and their other children. Although the book is enriched by a strong Roman Catholic perspective, readers of any faith will connect with Kuebelbeck's tale of spiritual growth through love and bereavement. In Faithfulness, He Afflicted Me offers a unique look at a story of suffering. You will experience Lynnette's raw emotions through journal entries, yet you will be encouraged as you witness God's miraculous power of healing in her life. You may even find yourself excited to face your next trial, seeing it as an opportunity to experience, as Lynnette has, the fullness of God. Lynnette is a mother of nine children but has been called to endure the great sorrow of watching three of them die. She has suffered, but she has been victorious through the loving help of her Savior. Her heart's desire is to offer hope to others along their road of heartache. Lynnette delights in spending the days with her husband of twenty years and their six children. She enjoys prayer walks, country drives, napping outside on a beautiful day, and listening to film score and classical music. She also values sincere friendships, good chats over coffee, and raising children to love and serve Jesus. On the way home from a conference, Don Piper’s car was crushed by a semi truck that crossed into his lane. While his body lay lifeless inside the wreckage, Piper experienced the glories of heaven and was awed by its beauty. 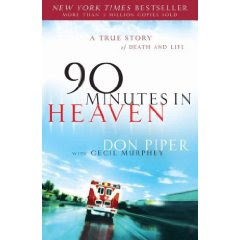 Ninety minutes after the accident, while a minister prayed for him, Piper miraculously returned to life on earth with only the memory of inexpressible heavenly bliss. But his faith in God was about to be severely tested as he faced an uncertain and grueling recovery. In 90 Minutes in Heaven, you’ll experience a new dimension of God’s reality. And we recommend it as a source of comfort and encouragement to those recovering from serious injuries or dealing with the loss of a loved one. Happy (upcoming) Birthday to me!! I turn 26 years old on Saturday, June 20. No special plans. No birthday cake. No gifts. That's just me and my husband's 'thing' that we've done since we've been married. So, I am going to celebrate on here with a giveaway! We all know how tough the economy is and it doesn't look like it's getting better any time soon. (Of course, I hope I am wrong about that!) With this giveaway I hope to ease the burden just a tiny bit. This giveaway is for a $50 Kroger gift card. Perfect in helping with your groceries and saving your wallet! Since my husband and I don't get each other gifts, I would like to get gifts from you! No, I'm not asking you to send me a gift. I want you to give me a pretend gift. Basically, what you would get me if you were gonna give me a gift. Now this is the important part... Please leave an anonymous comment telling me of your gift. Only anonymous comments count. I don't want to know who you are because the gift I like the most will win the gift card! This giveaway begins now and will run until Saturday, June 20 at 8:04am EST, which is the date and time I was born. I will announce the winner that same day at noon EST. I can't wait to read about your gifts! I remember the day our world came crashing down. I had just gotten home from work and no sooner had I stepped in the door the phone rang. My doctor said there was something concerning on my ultrasound and she needed me to come into her office as soon as possible. Not a phone call you ever want to get. I kept running through my head all the different possibilities of what could be going on. Maybe there was something wrong with her heart or her brain? What if she had Potter's Syndrome or Trisomy? My mind was in overdrive and my heart rate accelerated. I was breathing slightly faster. I needed to get to the office. I needed to get there as fast as I could and find out what was going on with my baby. I called my husband, Anthony, and let him know so he could leave work and meet me at my doctor's office. My daughter, Kyndra, and I arrived at the hospital before Anthony did so I went to the Radiology department where I work and I looked up my ultrasound report. I skimmed it until my eyes saw the word 'anencephalic'. I think my heart stopped. I remember thinking in my head "this can't be happening". I knew exactly what that word meant and what my little girl's future was. She wasn't going to live. I continued to my doctor's office in some combination of shock and haziness. I met up with husband but didn't tell him what I found out. I wanted to hear it from my doctor just to be sure I hadn't misread the report....even though I knew I hadn't. She then confirmed it-our baby had anencephaly. This is when the weight of it all came crashing down on me. My world seemed to fall apart as I sat there on the examining table. But I could feel God's presence in the midst of my pain and I knew everything would be ok. He would carry me through this. My doctor gave us our options and through my tears I told her that I wasn't terminating. What helped me a lot throughout my whole journey was reading stories of families who have walked the road before me. It helped me to know what to expect on my own journey. I found some great support groups, Anencephaly Support and Anencephaly Blessings From Above, that have helped so much. Through them I have met many wonderful anen mommies and have gained some truly great friends. Anencephaly Net is a good website that has links to other sites for parents carrying a child with anencephaly. 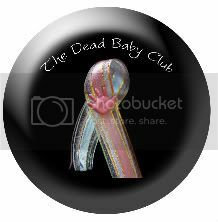 I started searching for all the different sites available for those who find themselves carrying a child with a poor or fatal prenatal diagnosis and for those grieving from loss. I created a list of those sites on my sidebar. 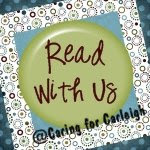 After Carleigh's diagnosis I read the book Waiting with Gabriel: A Story of Cherishing a Baby's Brief Life by Amy Kuebelbeck. I could relate to so many emotions in the author's story. I encourage any parent that is facing an adverse diagnosis to do their own research and don't just go by what doctors tell you. Doctor's don't know everything, but God does. I've heard many times doctors push for termination and I don't want families to regret a decision made in haste. My prayer request is for the little baby we are trying to conceive. Pray that our little one is perfectly healthy and whole, but also that God's will be done in our baby's life. If that means traveling this road again, then we accept it. I get to take a pregnancy test this weekend and I am hoping to see a positive sign. I hope everyone's weekend was good! I had a weekend where I had absolutely nothing planned and it was so nice. I was able to finish one of Carleigh's scrapbooks. I was hoping to fit it all into one but that really wasn't going to happen considering how big the first one is! So I am starting on her second and once it is finished I will post slideshows of them. I'm hoping to have it finished by the end of the month. Sometime this week I will be letting those of you who wanted to do the reading group again vote on which book to read. I already have 2 selected but would like to get at least 1 more. So stay tuned for that! Friday is the last day of the raffle for necklace, which will benefit Sufficient Grace Ministries. Each entry is only $2. Click here to find out more! 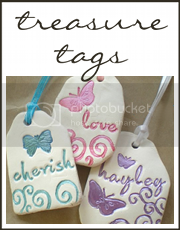 I am having a giveaway on my family blog that ends tomorrow. If you like reading then click here to check it out! The end of this week I will be posting another giveaway to celebrate my birthday (June 20). Heck, I may do 2 giveaways-one for each blog! What fun! Sara is just one of the 219 now that follow my blog "officially" and was the 18th commenter. You win the holder and the gift certificate from Things Remembered. Sara said she has been following Carleigh's blog since January. Thank you! Sara, you can email me at caring4carleigh@yahoo.com with your address and I'll get that sent out to you! Thank you to everyone who participated and left a comment! Are you in need of prayer?? I am so thankful for the many people who read my blog and have prayed and continue to pray for me. Your support through my journey means so much. I want to do the same for you. If you have a prayer request(s) I would be honored to pray about it. No request is too big or too small. It can be for yourself, a friend or family member, a job, a tough situation....anything at all. Just leave a comment below so more people besides myself can pray or you can email me at caring4carleigh@yahoo.com if you would like to keep your prayer request(s) more private. Thank you for all your prayer requests so far. I am surely praying for each and every one. A book you might consider is Love Beyond Reason: Moving God's Love from Your Head to Your Heart by John Ortberg. It has some really good reviews. I haven't read it myself but it sounds very good. Having faith and walking in Christ is not always easy. Sometimes your walk may be more of a crawl. We all struggle at some point in our lives. During these lowest times is when we need God the most. I am very thankful God has been there for me. I know that God can take the bad things that happen in our lives and use them for good-He may not do it right away and we may never know the good that comes from it, but God does. These are weeks 6-10 of my post-abortive counseling I did last summer. These entries are from my Cafemom journals, which are no longer there. This week's session was over the bible study about forgiveness. I learned a little bit from this lesson but not as much as the week before, which was about anger. See, after the anger bible study I went ahead and forgave everyone I was angry with regarding my abortion. So this lesson was a breeze for me! Melissa had an activity all set up to do this week and I didn't even give her the chance to try it out since I had already made that step. So we went over a few bible verses and talked a little about forgiveness. I did learn more about forgiving people no matter what-forgiving them before they come to you, forgiving before being asked, etc. Definitely a good point! After the session we just chatted for a bit. I had Kyndra with me (I had taken her twice before too). She pooped during the session so I had to change her and we had fun laughing about her. Melissa told me of a girl that came into the center that was going to have an abortion. She said she talked to her and gave her all the options but she has an appt scheduled for Monday to get it done. So, please, please, please if you are reading this pray for this poor girl! I know she will regret it and don't want her to make such a horrible mistake! She couldn't tell me her name b/c of privacy laws. I should've asked how far along she was. I hope not too far. My gosh the weeks are just flying by. Week 7 has come and gone already. We went over Chapter 6, which was titled Depression. It went over guilt, shame, anxiety, anguish, depression, and suicide. It was overall a good lesson and I had a few eye-openers. I definitely knew I had shame and guilt and I could fit a few things in the depression. Nothing in the suicide section applied to me. But I was surprised to find I did have some anxieties and anguish. So we talked things out and it helped. Melissa gave me a book titled I'll Hold You in Heaven. It is a book for parents who have lost a child through miscarriage, stillbirth, abortion, or early infant death. It is supposed to provide healing and hope. I look forward to reading it. Not a big book so should be a quick read. Melissa told me to "consider ways to acknowledge the death and mourn the loss of my baby". My memorial ceremony is going to be June 27 instead of July 11 and that actually works out better. But she said that the memorial is for my baby and I should think of ways that I want to celebrate/mourn my baby. So that's something I have to ponder. I asked Melissa about the girl who was supposed to have an abortion on Monday. She hadn't heard anything from her so she thinks she went through with it, which makes me sad. This week's lesson was Forgiven & Set Free plus we had a little side lesson called Grieving the Loss. First, I'll say that I finished the book I'll Hold You In Heaven that Melissa had and I wanted to read. It was a very good book and I recommend it to anyone who has lost a baby, whether it be to abortion, miscarriage, stillbirth, or early infant loss. I think it will be especially helpful to women who have lost babies to abortion. I went a little early to the session since my husband had his graduation ceremony that evening and we finished up pretty quick, but it didn't take anything away from the lesson. We went over both lessons. One thing that stood out for me in the first paragraph of Forgiven & Set Free was "Women who regret their decision for abortion may struggle with feelings of unworthiness for having chosen abortion". Many think they are branded with a scarlet A. I don't know how many people have red the book The Scarlet Letter but I had thought that about being "branded" with a scarlet "A" for abortion before I had even read that statement in the lesson b/c that book had came to mind. (Although the woman's scarlet "A" in the book was for adultery.) I do think society "brands" us and I'm sure a lot of post-abortive women would agree with me. The beginning of the lesson it gave verses to help you understand the reasons for why you chose abortion-if at the time you were or were not a Christian. I was a Christian at the time and the verse that I thought best described me was Isaiah 29:13, which pretty much says that I honored God with my lips but not my heart. We went over how Satan likes to work on us by bringing up guilt about abortion. Once forgiven then there is no need to continue to feel guilty because God doesn't hold it over our heads-He forgets! When all those emotions come up it is the devil at work so when that happens I know I need to pray. Like what the Bible says-submit to God, resist the devil and he will flee from you. I know I haven't tried to work for my forgiveness or atone by replacing my baby with anther or becoming some type of supermom, which the lesson talked about. It also talked about restitution. I feel God has allowed me to help other women who have needed my support and encouragement and I am more than willing to do whatever He wants me to do in this area. You know I am sorry for aborting the baby You gave me and I know You have forgiven me. I know you are taking good care of Jordan. One thing I never got to say to my baby is that I am sorry and I love you. I long to hold my baby in my arms like I do with Kyndra and it hurts me that I can't. I've always been afraid to tell my parents and I'm still conflicted about doing so. I'm leaving this in Your hands, Lord. If You want me to tell them then I believe You will bring about the right opportunity to do so. It hurts me to think about the pain I put Jordan through with my abortion. I know You eased my baby's suffering and wiped away the tears. I will always regret my abortion as long as I live. I will never forget, but I believe You can use my experience for good if You want and I am willing, Lord. You know I named my baby Jordan Leigh and I am sorry I waited so long to give my baby a proper name. I look forward to the day when I can see You and my baby. I want to hug Jordan and not let go. I will be so happy to be with my baby at last! Well, my next session will be the memorial for my baby and then I'll have one more. My memorial was going to be the last session but I guess the last session has to be the last lesson the way it is set up. Anthony won't be able to go to the memorial but I asked my best friend, Lindsey, to come with me and she is. I think it is fitting that the memorial is going to take place on my birthday-June 20. I'm going to write a poem for the memorial. I haven't started it yet but I'm going to work on it this week. I know they'll be making a certificate for my baby but I'm not sure what else is going to go on. I'm pretty sure I will cry. Praise for the LORD'S Mercies. After Donna read the scripture Melissa had me come to the table up front. There were candles on the table. A large candle was lit to represent Jesus and a small one to represent Jordan. With a taper candle I lit a flame for Jordan's candle from Jesus' candle and then blew out the taper. Melissa had me say my baby's name out loud. At this point I read my poem I had written. I did pretty well reading it until I got to the end of it and then I got kinda choked up. They all said my poem was very good and beautiful and that made me happy that I did a good job on it. I had been struggling with what to write and then I sat down one day and got it all done in one sitting. Next Donna read a poem. I got teary-eyed during this. Next Lindsey, Kyndra, and I spent some time alone in the room. After I was given a certificate for baby Jordan. It really didn't last very long but I'm so glad I had the opportunity to honor my baby. I will always love my baby with all my heart. This is it....this was my last week of counseling. Some people may be relieved to have it over with but I was sad. I have gotten to know my counselor Melissa and another woman Donna very well and I will miss them. I will miss the time spend studying Scriptures and with God but I plan on doing my own bible study or joining my church's. Before I went to my last session I stopped by Kroger. I had to get Kyndra some formula so I picked up some cards for them. I wanted to thank them for how kind and caring they have been to me. They are wonderful women. The last chapter was pretty short so our session didn't last long. We talked for maybe a few minutes about the lesson. Melissa said that the only area of healing I still need is the secrecy and I agreed. And this is because my parents still do not know that I had an abortion. I do want to tell them but I am leaving it up to God. I know He will bring about the right opportunity to tell them. Melissa gave me some stuff to fill out about and asked me if I wanted to get their newsletters and I said yes. She asked me if they could put my poem in the newsletter and I said they could. I'm glad they are using it. Maybe it will help someone. They want me to come back and see them once in awhile and I very well intend to. I can't just simply forget about the impact they have made on my life. I will forever be grateful to them and to God. I have found so much healing but that doesn't mean I forget my experience. I will never forget it and I will also wish I had made a different choice. I will use my abortion experience to help other women. I want to get more involved in speaking out about abortion-it hurts women and it hurts others. It is something we cannot ignore. Sure, there are women who say they don't have regrets or don't care. But I have met many more women who do regret it and suffer from their decision on a daily basis. America needs to wake up about abortion. And contrary to what some may think it is not an easy answer. So don't try and make me be silent. Don't try to judge and accuse me. My Father in heaven is my judge and on my judgment day I will hear Him say "Well done, my good and faithful servant." I wanted to add this song by Matthew West. I think this can speak to so many women who are hurting from the pain of abortion. From all the weight of your mistake? Did you read the words I wrote down in red? Are you broken, are you broken? Winner of Lip Balm Pack! Want a necklace like mine?